The immediate aftermath of a motorcycle accident is a frightening time. You have to get yourself to safety, and then make sure that you get appropriate medical attention. Once that happens, you can focus entirely on your recovery. There are people in your life that love you and count on you. You want to do everything you can to do right by them. That’s where a Los Angeles motorcycle accident attorney can come in handy. They can take your case, do a thought investigation, pursue damages and then get you the compensation you deserve for your suffering. 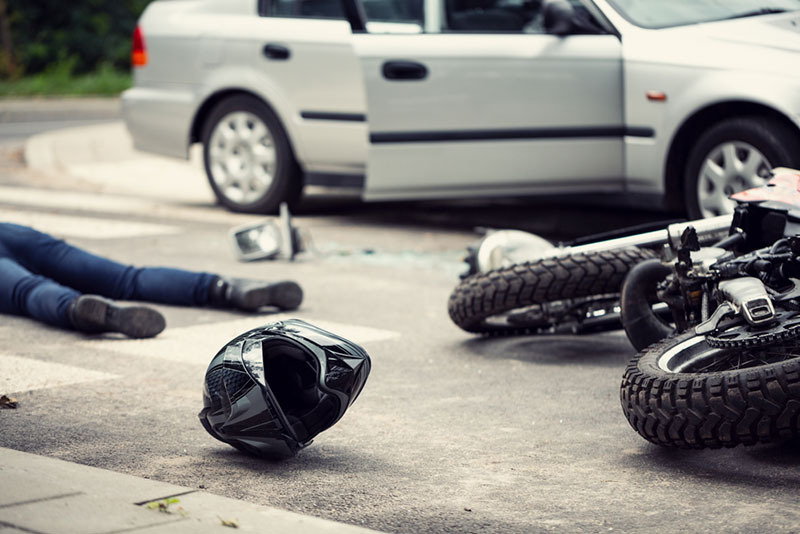 The LA Injury Group has experienced an experienced Los Angeles motorcycle accident attorney team that knows exactly what to do to get you the compensation you should have. A major part of that is doing an investigation of the accident itself. The investigation is critical, as it can be used to make your case more compelling and airtight. It’s here that the LA injury Group’s experience really comes into play. Their attorneys have been doing these investigations for many years. They know exactly what to look for, where to find it, and how to use it to bolster your case. One of the major things that the LA Injury Group can do is to negate any possible comparative negligence arguments that the insurance companies or others will make against you. In the legal system, all too often, motorcyclists are blamed for crashes, whether they were at fault or not. In a motorcycle accident, when a cyclist is thought to be partly at fault for the crash, this is given the title “comparative negligence.” They are seen to be not quite as much at fault as the other parties involved in the crash, but they were thought to be somewhat at fault. The LA Injury Group works hard to ensure that those who are truly at fault, the other parties, receive all of the fault. A Los Angeles motorcycle accident attorney from the LA Injury Group fights for you. That means that they do everything they can to make sure that you aren’t thought to be even the slightest bit comparatively negligent. The way the law works, if you’re found to be 20% at fault, your eventual recovery is reduced by that 20%. The LA Injury Group works hard to make sure that doesn’t happen. They’re on your side, and they do a thorough and complete job of putting the blame where it belongs. Their investigation of the crash scene is through and detailed, always maintaining a laser-like focus on finding the evidence and details that make your case all that much more compelling. One of the first things they investigate is the road conditions at the crash. Motorcycle accidents can be caused by any number of adverse road conditions, which is especially true in California. Potholes, stark ridges in the pavement and other defects can absolutely have caused your motorcycle accident. This is the kind of important detail you may not be aware of in the moment that a Los Angeles motorcycle accident attorney can absolutely discover. In fact, there are many road conditions that can cause an accident that are in no way your fault. For example, if the construction of the roadways is poor, and their maintenance nonexistent, than you can’t be blamed for a motorcycle accident that they caused. By that same token, if the traffic controls are substandard, the signs ill-kept and not flashing when they should, and so forth – these are all road conditions that make you not at fault during the accident. When you’re injured through no fault of your own, a Los Angeles motorcycle accident attorney makes sure that you get the care and consideration that you deserve. Head injuries are something that happens all too often in the aftermath of a motorcycle accident. Unfortunately, often motorcycle safety gear fails, which causes the rider to be harmed. Helmets, for example, have to meet a very high standard of durability and protection. If you’ve had your head or even neck injured in a motorcycle accident, then the helmet has to be examined and assessed. If it was built in a faulty way, or there was some other manufacturer defect in it or the like, it’s someone else who didn’t do their job that contributed to your injury. You would deserve compensation from them as well. Riding a motorcycle is thought of as a “devil may care” activity. People see folks on motorcycles and think of them as “wild men” sometimes; drivers who push the boundaries on the road. However, you know that motorcyclists are uniformly basically anything but. They’re careful, cautious drivers who deeply respect the rules of the road. Studies of motorcycles accidents actually bear this out. Roughly ¾ of motorcycle accidents have been caused by drivers who violate the right of way of the motorcyclists. Motorcycle Personal Injury Lawyer: Who’s Responsible? Once your Los Angeles motorcycle attorney has gone through the investigation, questioning all the witnesses, taking statements and going through all of the evidence gathered at the scene, it then becomes time to figure out who was responsible for your accident. As you can see from the above paragraph, with motorcycle accidents, many different groups can be at fault. The LA Injury Group can help you to discover the truth of who was really at fault in your accident. Often, the person who’s most responsible for your motorcycle accident is the driver of the other vehicle. Whether they’re in a car, truck, other motorcycle or anything else, in a strong majority of motorcycle accidents, they’re who’s at fault. As they caused your pain and suffering, and you didn’t, you deserve to be compensated for their negligence. At this point, however, a Los Angeles motorcycle accident attorney can point out that isn’t just as simple as “the driver of the other vehicle is at fault.” There might be other people or groups who owe you damages as well. Consider: you’re on your motorcycle one day, obeying the rules of the road, having a great time. You’re hit by a truck and hurt, sustaining damages that you deserve compensation for. Of course, the driver of the truck was at fault. However, also imagine that this driver was driving on behalf of a store. You could then pursue compensation against the driver and their employer as well. A Los Angeles motorcycle attorney can help you to figure out everyone and anyone who’s at fault. Beyond the person or persons or hit you being at fault for your accident, it could also be the fault of manufacturers and governmental entities, as well. For example, if anything about the motorcycle’s design was in the slightest bit defective, then the motorcycle’s maker could be a defendant in your case. It’s important to clarify that it really is “if anything was defective.” Should something in the motorcycle’s assembly, manufacture, design or more have been the cause of your accident, then the manufacturer is absolutely who’s at fault. In some other cases, governmental groups are actually at fault for your accident. That’s who to blame when the road conditions, on public roads, lead to your accident. In that case, then they should be held responsible for your compensation. When you’re in a motorcycle accident, it’s natural to feel like you’re entirely alone. It’s a scary, terrifying time. Even after the accident and you’re recovering while surrounded by your closest friends and beloved family, it’s natural to feel weird going to an attorney. To that end, the LA Injury Group does everything they can to make the process as welcoming and open as possible. They offer free consultations, so that you can get a motorcycle accident attorney to take your case and get your compensation. Find out more at their site or call (818) 210-4558.